I'm looking in to getting a 20" jitsie frame 1010mm wheel base whats everyones opinions on the jitsie frames? are they worth buying? are they any good? 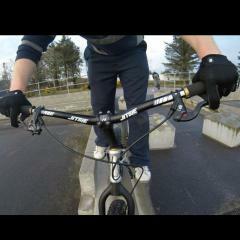 Hi rip, I'm looking for riding spots in Aberdeen and shire too, just got back into trials after a few years. Have you found any? Any clubs round here? Dose eny one have plans or ideas for obstacles that I could make out of wood?